Remember the Rookie Mistakes series is a NO JUDGEMENT ZONE. 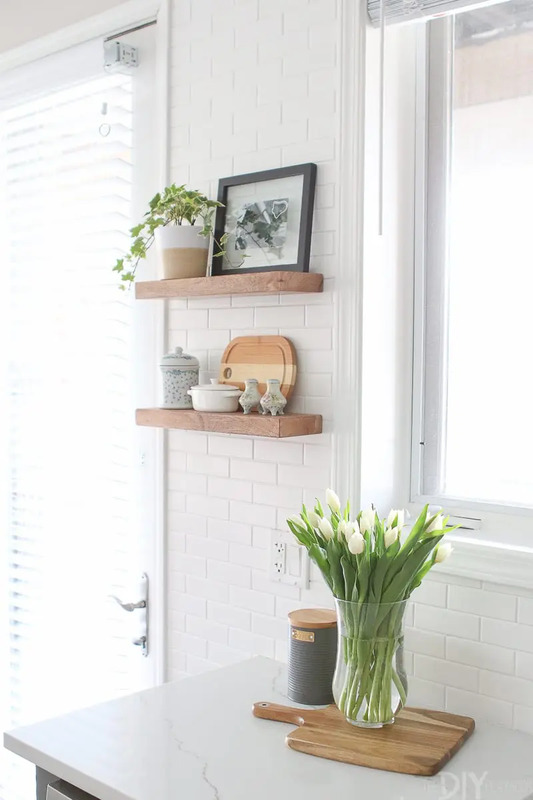 We’ve both made ALL of these decorating mistakes in our own homes, and simply want you to learn from us so you can make your home look amazing without having to make the mistakes we did! I consider our white sectional to be my first big “adult” purchase. While living in Wisconsin, Finn & I used an old, hand-me-down, blue, leather couch as our main seating area. But when we moved to St. Louis, I was excited to purchase a piece of furniture all my own. 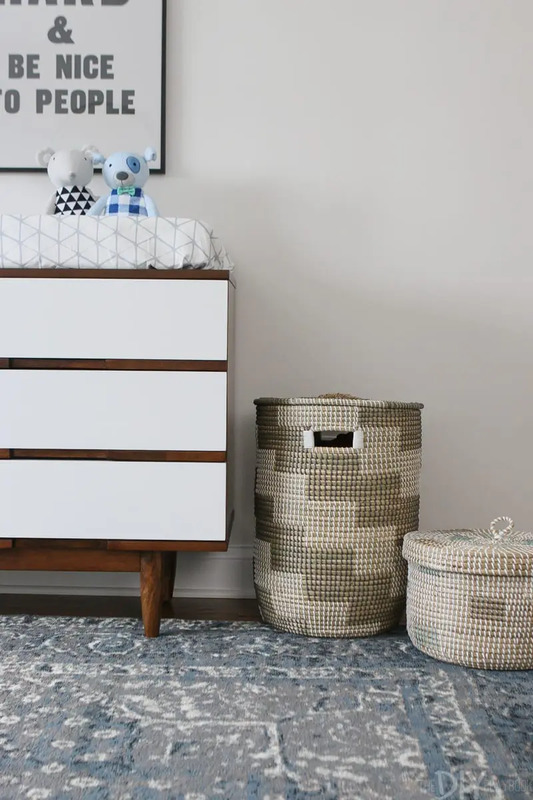 Enter our white sectional (read more about it in this post). I loved the couch immediately (& still do! ), and loved that it came with 3 matching pillows. I was all set! No need to purchase any other pillows for my new couch. Wrong! See, that was one of my first rookie mistakes as a new home decorator. 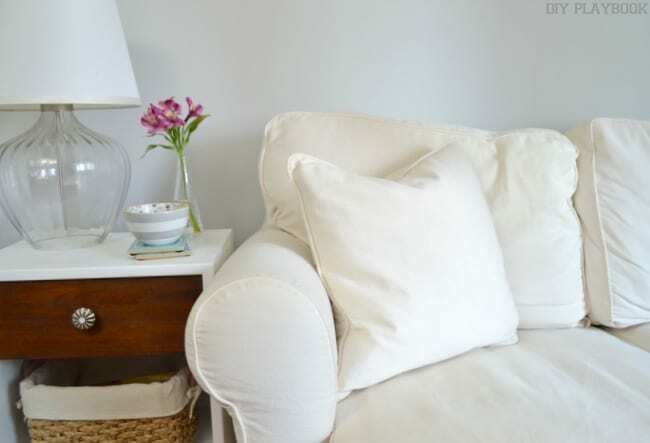 Instead of using the white couch as a neutral base for patterned, colored, and textured pillows…I just let it be a big blob of white for a while. 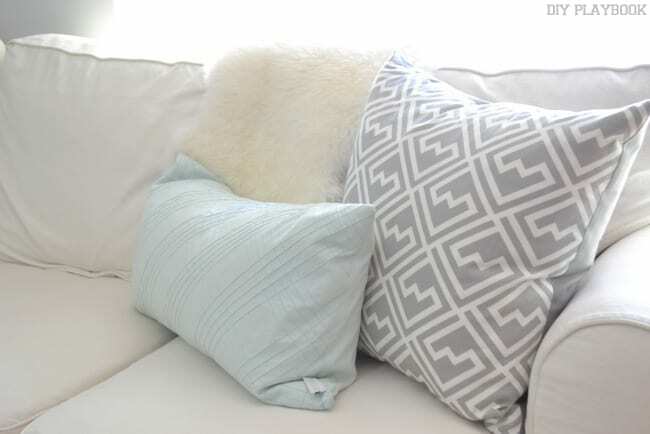 Once I started reading blogs and looking at catalogs, I quickly realized that some throw pillows would look pretty dang awesome on my white couch. Now this may seem like an obvious “no-no” to some of you, but I see this rookie mistake happen all.the.time. 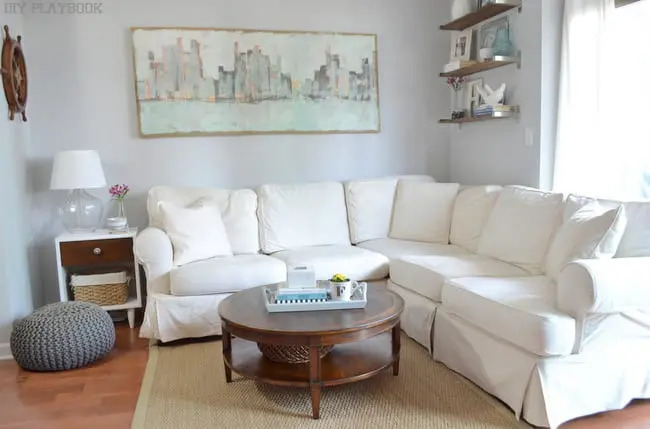 I’m not judging anyone, (everyone is entitled to decorate their homes the way they see fit), but things could be a lot more personalized, and a lot less “big box” if people swapped out their couch pillows. <– simple fix, BIG impact on a space. Adding throw blankets and a variety of pillows is also a great idea if you aren’t in love with your couch. 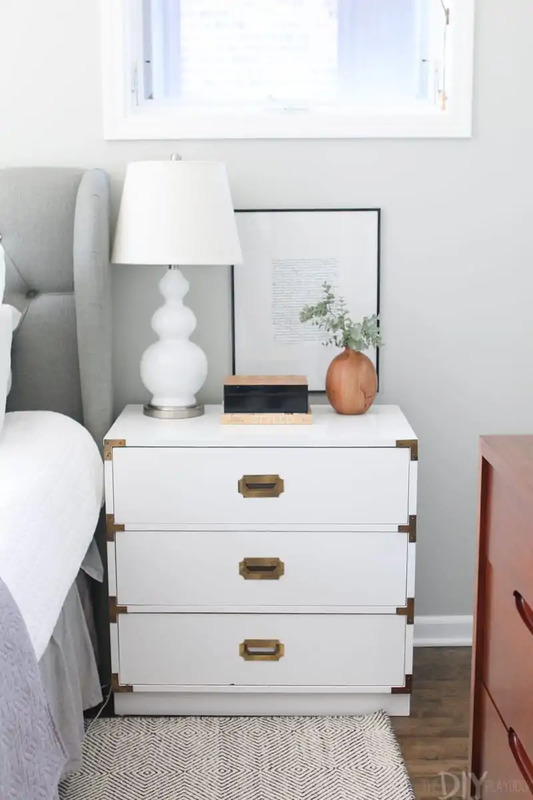 Take the attention away from the couch that you can’t replace just yet, and instead let guests focus on your rockin’ pillow collection. As for the pillows that came with the couch…I still have them! In fact, I use them in other places around the home. I’ve also used the inserts and replaced the white covers with pillow covers that I love. 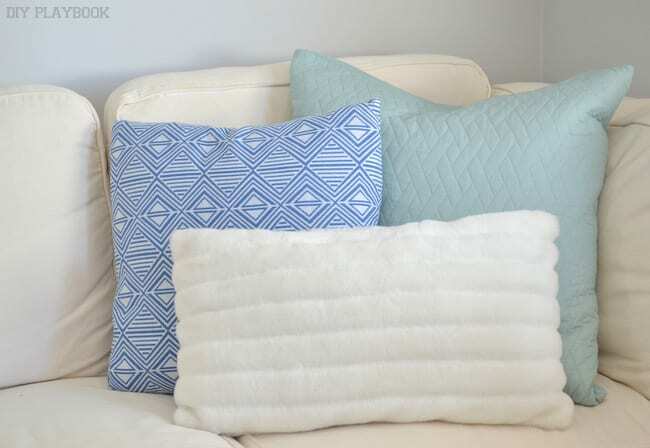 So there’s no need to toss perfectly good (down-filled) couch pillows, instead, re-purpose them! So there you have it…this ROOKIE MISTAKE has been corrected and we are both officially all aboard the throw pillow train <—much to the dismay of our husbands who simply don’t get what’s so remarkable about stuffing the couch with gorgeous pillows! 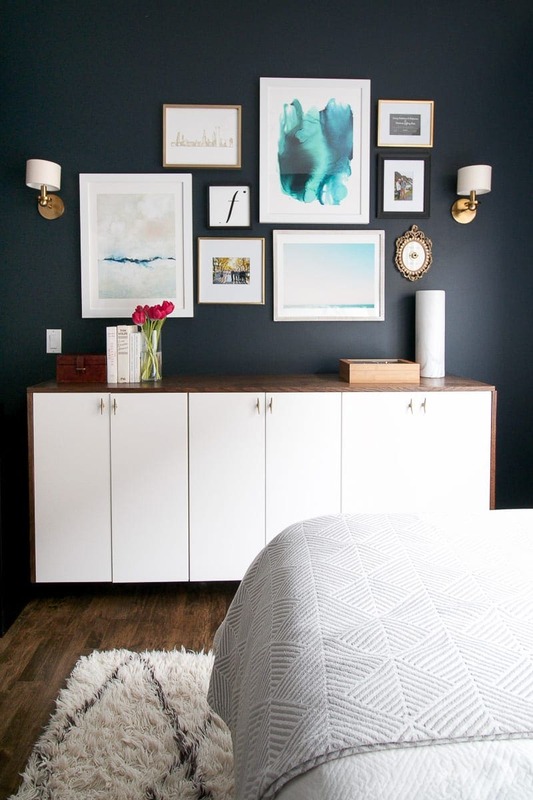 If you want to check out more rookie decorating mistakes…check out this page. If you have more pillow questions (where we buy pillows? How many pillows is too many? What colors, patterns, textures should you buy?) then these posts may be of some help! 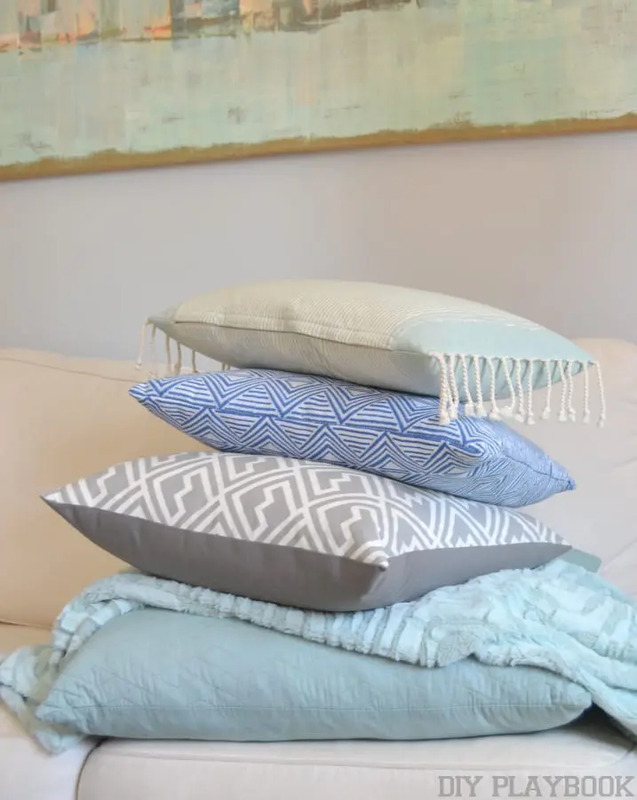 How to Arrange Euro Shams <—for bedroom pillow perfection!